Toddler Time has just started at Flip Out in Wandsworth. Priya and I thought we’d take our two year olds and check it out. You can now book in for an hour and stay for another 4 hours for free. 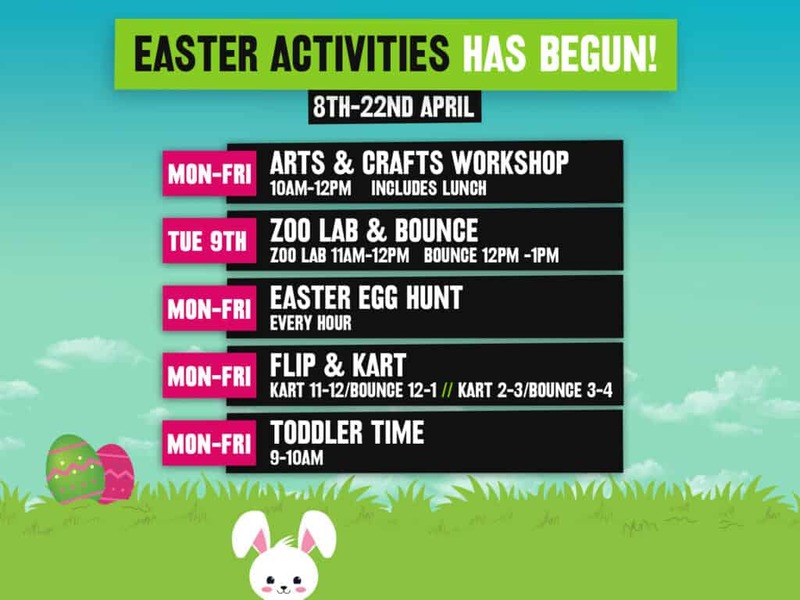 There are new interactive toys, games, bouncy castles and, of course, the extensive trampoline arena & soft play! My previous visits to Flip Out have largely been for birthday parties for my older children so have involved arriving either after school or on a weekend with the rest of SW London, following them patiently as they navigate their way around the many many trampolines on offer while loud music blasts out of the speakers…Don’t get me wrong for my children this is one of the best places to be. It’s just not what I’d describe as a relaxing experience so when Priya and I arrived with our two year olds for toddler time we were pleasantly surprised by the much quieter low key approach. For a start, the safety video has been adapted especially for younger children. The music is turned down, soft toys are laid out and there is a bubble machine. The sessions are run by fully qualified nursery practitioner Leann who is on hand at all times. She is friendly and extremely attentive to both children and their parents. She says she has plans to do a lot more – running story time sessions and getting the kids to dress up. Our kids absolutely loved having a free run of the place. Playing in the ball bit at the bottom of the big slide without fear of anyone coming down it was heaven for our girls. They also loved that they could take their pick of the trampolines and bounce to their hearts content. The under 5s area is also great – baby toys are laid out for pre walkers, and the soft play section is not too overwhelming.